Whether you are headed to the slopes via car or plane, it is so important to be prepared. I am not talking about making sure you have all your ski equipment, that is so individualized. We are talking about what to pack for a ski trip to keep you fueled up, warm and ready to explore the great outdoors. So get the family packed up and ready to hit the slopes and keep a little extra room to pack up these Family is trip essentials. Packing a suitcase with all the ski essentials is a key to a successful family vacation. Not only is this Backpack fashionable for everyday wear, it is filled with enough pockets to store all your needs listed below. Check out the American Shield Backpack, Granite 25 Backpack. The American Shield Backpack is lightweight and durable, plenty pockets perfect for whatever daily or travel. It comes in four colors for your choose from as well: Black, Black-Brown, Coffee (Pictured) and Green. You can even store your laptop inside if you are like me and will be spending any time at the lodge. Do you pack your family’s lunch and snacks when you hit the slopes? Packing a cooler is not a big deal when you drive to your ski vacation destination. We have the solution for you when you are flying. Check out this CleverMade’s versatile cooler snaps open and hauls up to 50 cans of your favorite beverage plus ice and keeps iced beverages cold for 36 hours, making it perfect for a long day at the slopes or in the car. Sturdy soft-sided cooler wipes clean and collapses flat in a snap, so you can store it just about anywhereYou can easily pack this at the bottom of your suitcase and use it once you reach your destination. I love all the colors it comes in as well. Here is a unique but perfect addition to your ski trip travel bag, the Universal Smartphone lanyards by Gear Beast. They keep your phone safe and handy and your hands free to focus on skiing, fishing, and being in the moment. They are easy to pack as they take virtually no room, and really gives you peace of mind as you’ll never lose or misplace your phone again! Put your worries aside about dropping your phone on a chair lift!! If you are headed out west to higher elevation you are not used to, keeping hydrated before and during your trip is a must. Elevation sickness is a real thing but plain water can be boring too. Here is a solution to not only keep hydrated but save the environment with reusable bottles— The Multi Flask. Here is 7 different types of drink bottles in one system, reducing CLUTTER in your cabinet and suitcase! Just assemble the Multi Flask with the desired included parts to get a perfect bottle for each drink. No matter where I travel with my family, I need my coffee. Check out this compact coffee mug. . Kafe in the Box is a stylish and light double walled reusable coffee / tea travel cup, without the heaviness of stainless or ceramic cups, much lighter in your bag! Buy your Splashproof and Ecofriendly Reusable Coffee Mug today for you and your loved ones. No one likes to be cold on a ski vacation, so what about packing a sweatshirt that you can control the heat yourself? Volt: The Omega Heated Hoodie by Volt is a perfect sweatshirt for daily use at home, work or campus life. This thing will pump the heat in to your body’s core with the help of their patented Zero Layer Heat System. You just have to charge the battery pack before your outing and then the rest is up to the jacket. The Omega Heated Hoodie comes complete with a charging cord and a 5 volt 6000 mAh battery that will keep you warm for hours. When you aren’t using the battery to heat the hoodie you can also use the battery to charge a cell phone. Maximize space in your suit cases since it is so expensive to check baggage for a family. 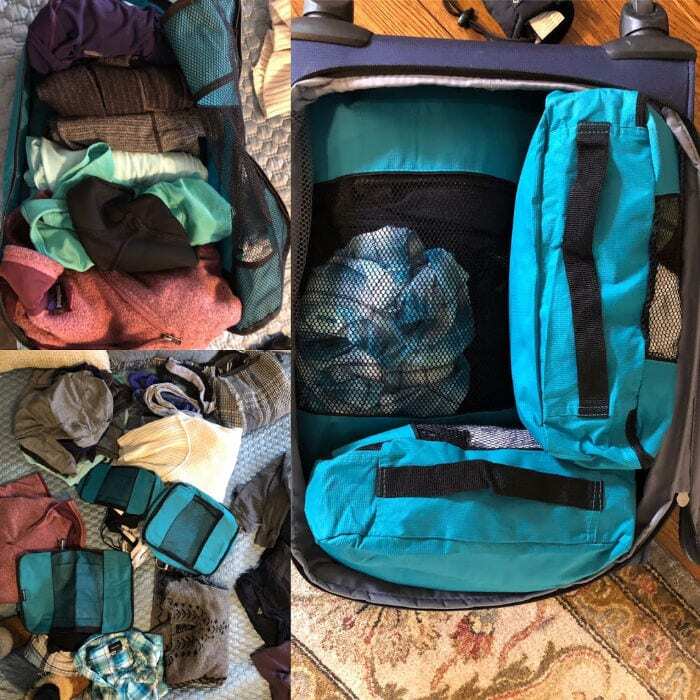 Get different colors for each family member and packing will be easy and compact. 3 Piece Packing Cubes from EatSmart Products came in handy for all the gear one person needs to pack for a ski trip. Whether you are looking for a quick breakfast, something to eat on a plane or something to refuel while on the slopes, be sure to pack up some Nature’s Bakery products . Their line of better-for-you, soft baked snacks that offer delicious options for families on the go. Worried about finding bars that are Gluten Free or Organic? Put your worries behind with this great selection of fig bars. No matter how old you are skiing, you always get hungry. Packing some high protein snacks are key when going on a family ski trip Lorissa’s Kitchen Products are made with 100% grass-fed beef, contain no preservatives or added growth hormones and have 10g of protein per serving. Not only is our jerky delicious for the slopes, but it is perfect for long road trips and easy to snack on. The Beef sticks can easily fit in a ski jacket or back pack. Be sure to order yourself a box of Liv Bars to pack along with your family on your ski trip. 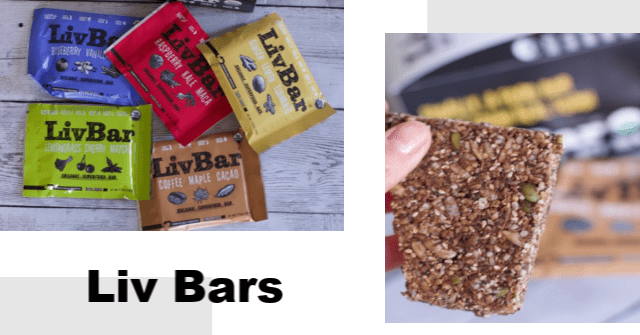 These tasty energy bars are made with real foods. Liv Bars are all organic superfood energy bars that are gluten free, soy free, dairy free, corn free, and nut free. The bars retail for around $3 each and you can buy a box of 12 on Amazon and our website for $30. They provide the nutrients and energy to get through a day of skiing or snow shoeing. They just taste so natural and they are big enough to enjoy throughout the day if you just need a quick pick me up in-between runs. Most hotel rooms and rental homes have a Keurig machine but the coffee, especially in the hotels are not that great. We love Java House Cold Brew pods that can make traditional iced coffee or now they can also be made hot. So not matter what type of caffeine kick you might need during the day on the slopes they have you covered. Just be sure to pack these boxes in your checked bags as they are liquid. 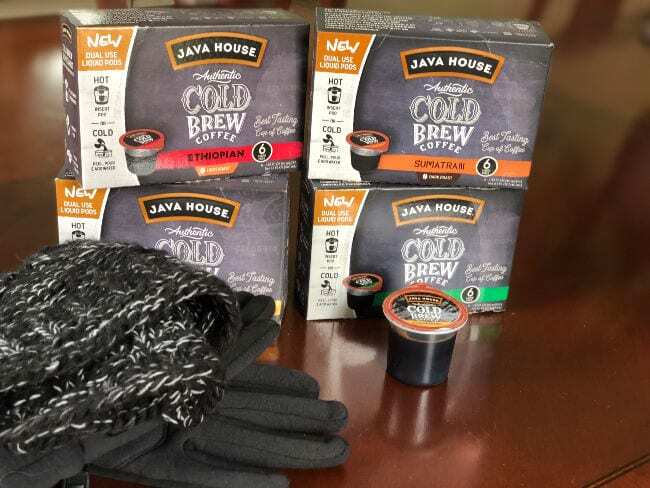 You can find them at Walmart or Javahouse.com for around $8.99 for a 6 count box. Now that we shared our favorites way to pack your suitcase with essential items to make the family ski vacation a success, what else would you add to this list?